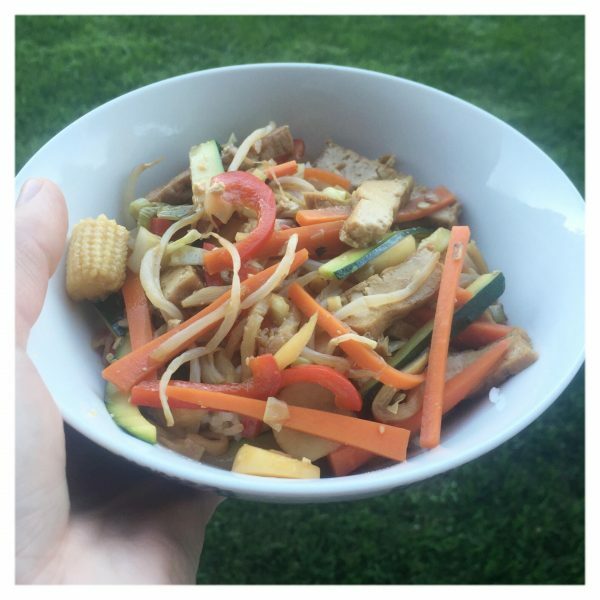 Want a quick and easy meal that is nutritious too? This Tofu and Vegetable Stir Fry is packed with the rainbow of colours and goodness. This is a sensational meal for a busy evening. Put the rice on earlier in the rice cooker and when it’s done, throw the stir fry together. The stir fry itself will literally take the time it takes to set the table .The whole family will love the salty soy taste and crunchy vegetables. Substitute in your children’s favourite vegetables if these don’t appease them. You might also like to sprinkle cashews on top of the stir fry to serve. Obviously, it is a wonderful meat free meal if you require a meat free dish. You could always substitute the tofu for beef or another meat if you prefer. Enjoy! Put the oil in the wok and heat to high heat. Add the garlic and spring onions to the wok. Put the rest of the ingredients and stir for a few minutes. Add the sauces and lime juice to the wok and stir through until all the ingredients are covered. Serve on a bed of rice or noodles. Enjoy! 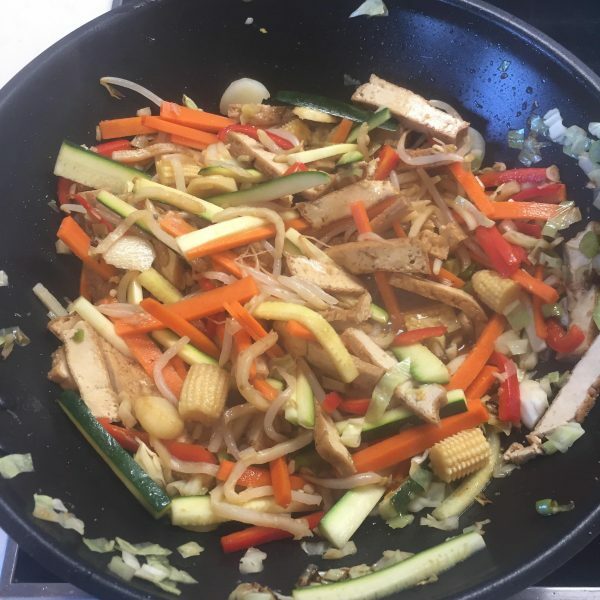 This entry was posted in Recipes, The Organic Place and tagged easy recipe, Family Friendly, Healthy recipe, kid friendly, organic vegetables, quick meal, recipe, recipes, stir fry, The Organic Place, tofu, tofu and vegetable stir fry, tofu stir fry.